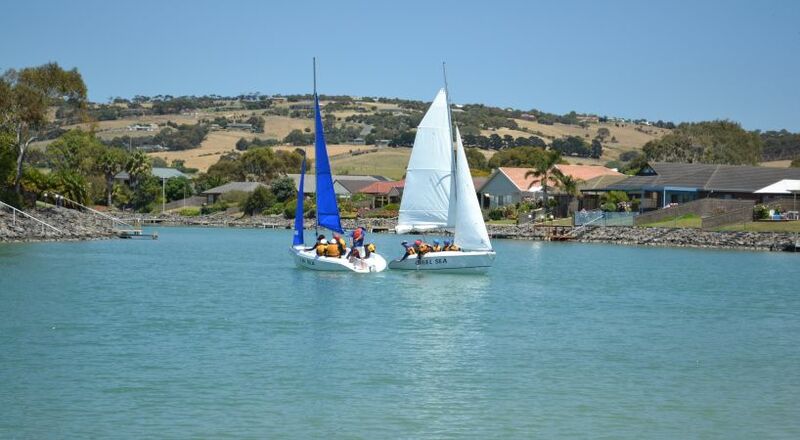 Based at Victor Harbor R-7 School, Victor Harbor DE Aquatic Centre (VHAC) was the first in the state having been established in 1975. VHAC serves both private and government schools statewide offering a range of aquatic programs to suit students in Years 6 through to 12. 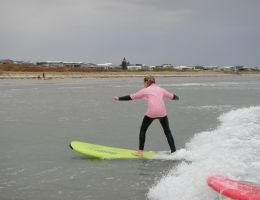 Instructor-In-Charge, Shane Ellis and Assistant Instructor-In-Charge, Janette Rix coordinate the programmes which are conducted by a team of 25 or more qualified instructors. Victor Harbor Aquatics is a totally mobile centre using a fleet of 18 trailers to transport equipment to venues, at times with 3 programs running at 3 locations simualtaneously! 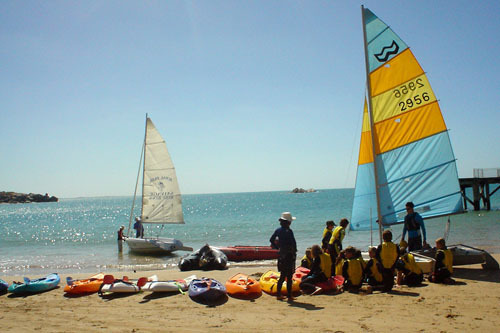 Programs are conducted at various locations across the South Coast ranging from Encounter Lakes to South Lakes, Goolwa and the Coorong. Please note: Daily locations are dependent on client and safety needs. Victor Harbor Aquatic Centre policy is that all students participating in aquatics must have a HAT, SHIRT and SUNSCREEN to protect them from the sun. See more under Policies. 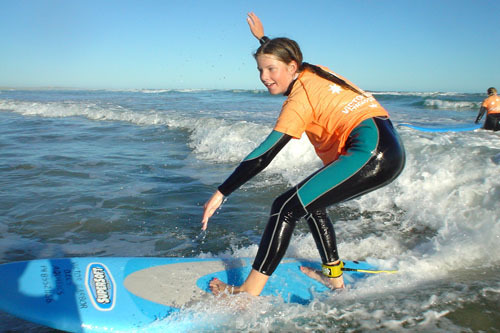 An after school surfer showing off her excellent surfing skills. 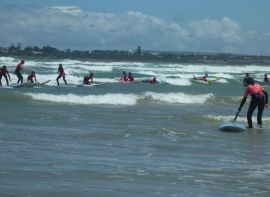 Many students are able to stand up after just one surfing lesson. Middleton presents perfect learning waves. 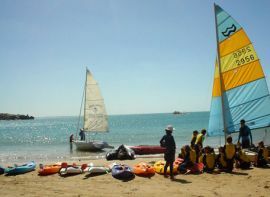 A group of students participating in an aquatics lesson in perfect conditions.